North Park is a thriving residential neighborhood with tons of bars and restaurants and now breweries. I am going to list all of the breweries and also highlight some of my favorites. There are really two smaller clusters of breweries, one along El Cajon Boulevard and one along University Avenue. Furthest South in North Park area is Modern Times’ satellite tasting room nestled among various restaurants. They focus on hazy IPAs, barrel aged stouts, and sours and you can pick up limited amounts of their cans from this location. If you want their barrel aged sours, the selection is wider at the main brewery. 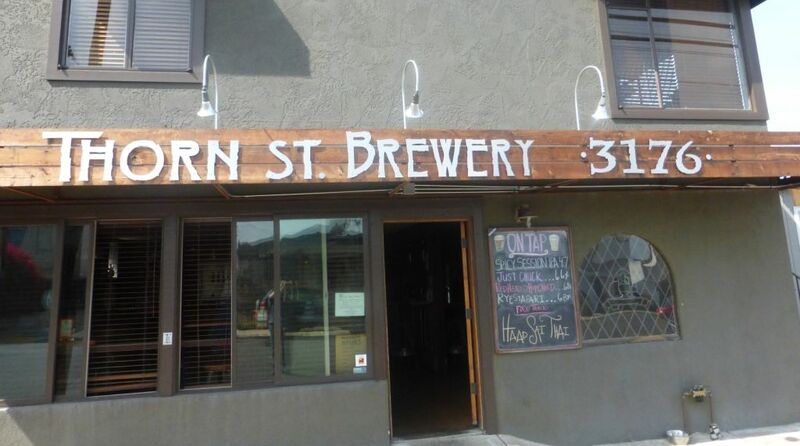 Thorn Street is not far down the road, easily walkable with their brewery location where they largely stick to traditional styles. Neither of these locations has food. On your way up to University Avenue, you will pass Mike Hess brewing, a large tasting room that is usually crowded. I haven’t visited them in years and suggest you stick to other nearby stops instead. My fellow beer blogger Craft Beer in San Diego considers Hess one of his favorites so perhaps I am just missing something. Check their tap list first to see if the beers interest you. Also on University is North Park Brewing, a young brewery that partnered with Mastiff Sausages for their kitchen. They have excellent food and vegan options (including vegan sausage). This is one of my favorite places to visit in the area because they have excellent IPAs and also brew the occasional flavorful low alcohol beer, sometimes an English mild or dark lager. I end up drinking their mild beers so often I forget to order the IPAs. Lately they have started brewing the occasional hazy IPA and some have turned out quite good. 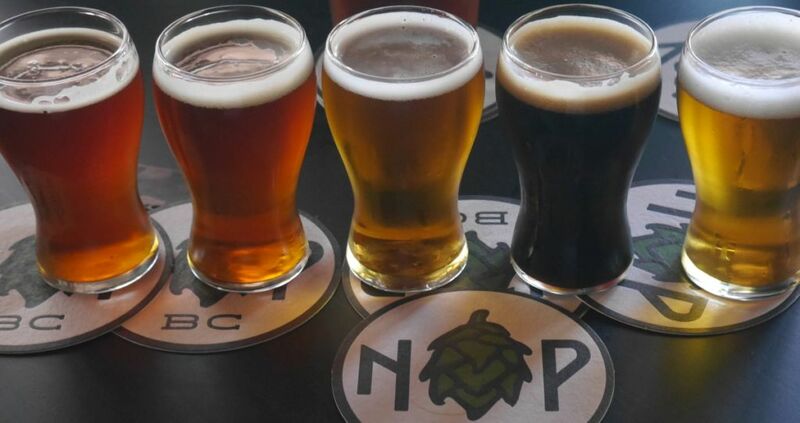 A short walk north from there, you will pass Toronado bar on your way to Rip Current’s North Park tasting room, Belching Beaver’s north park tasting room, and Second Chance’s small neighborhood spot. Toronado is a local favorite featuring a variety of beers on tap. 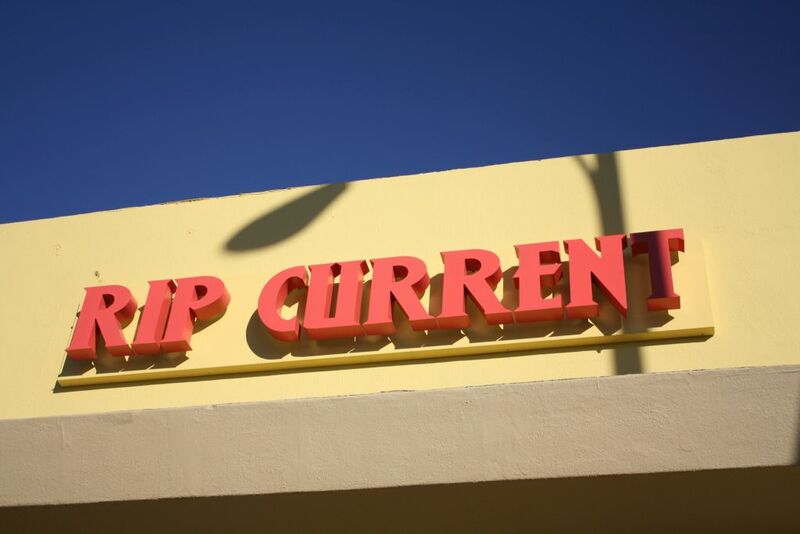 Rip Current is known for excellent IPAs, but they also brew fantastic German styles, stouts, and barrel-aged stouts. 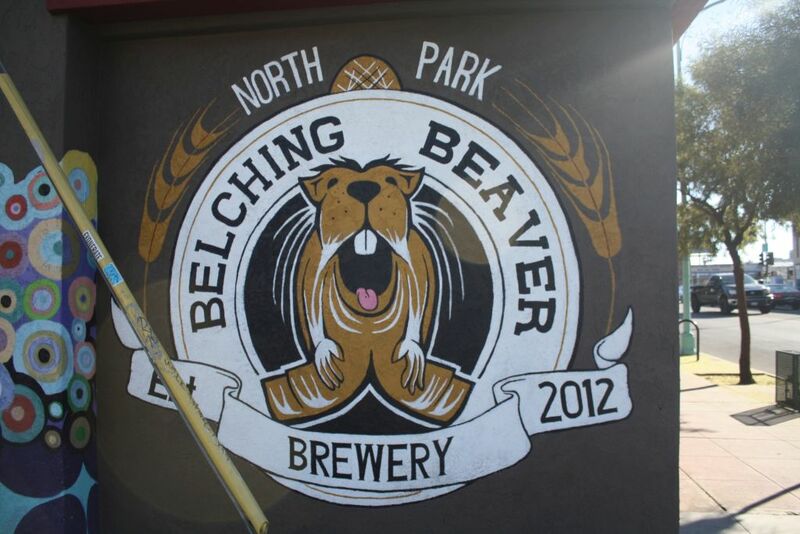 Belching Beaver is mostly known for their IPAs. 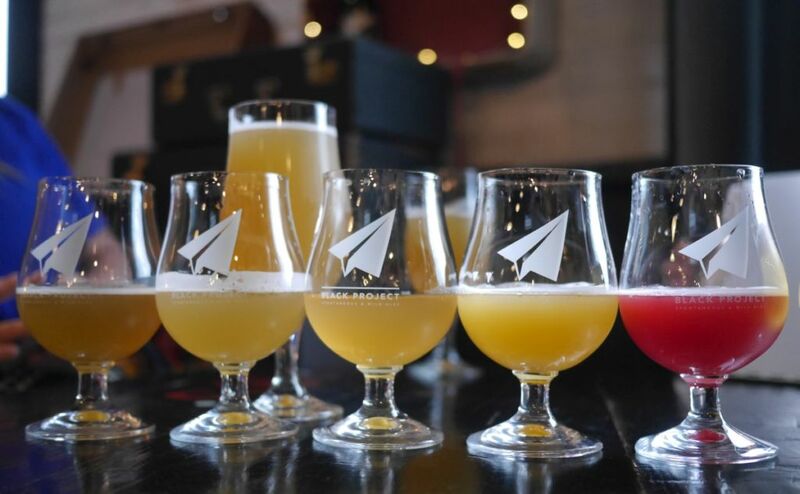 They recently started making some hazy IPAs and also have a young sour beer program with the original brewer and blender behind the now closed Toolbox brewing. 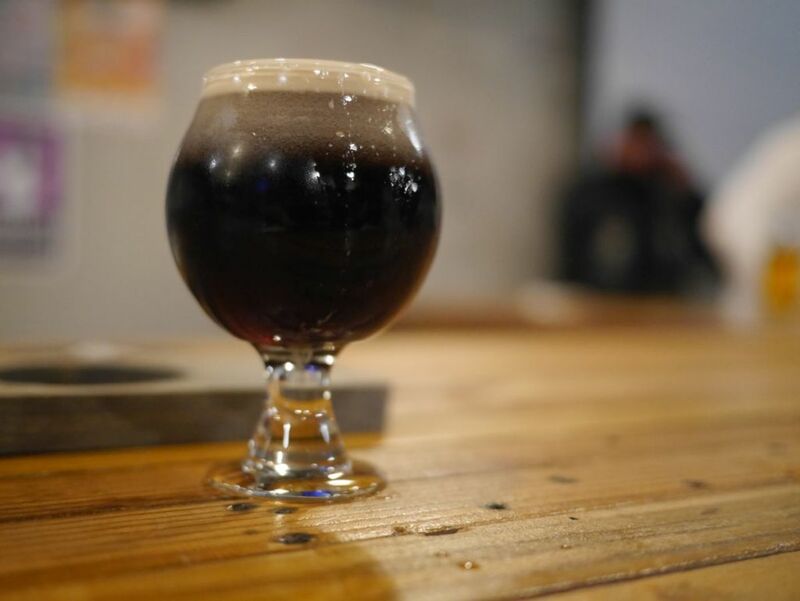 Second Chance makes excellent beers to style and is one of the few local breweries that makes an excellent Irish red that is available year round. 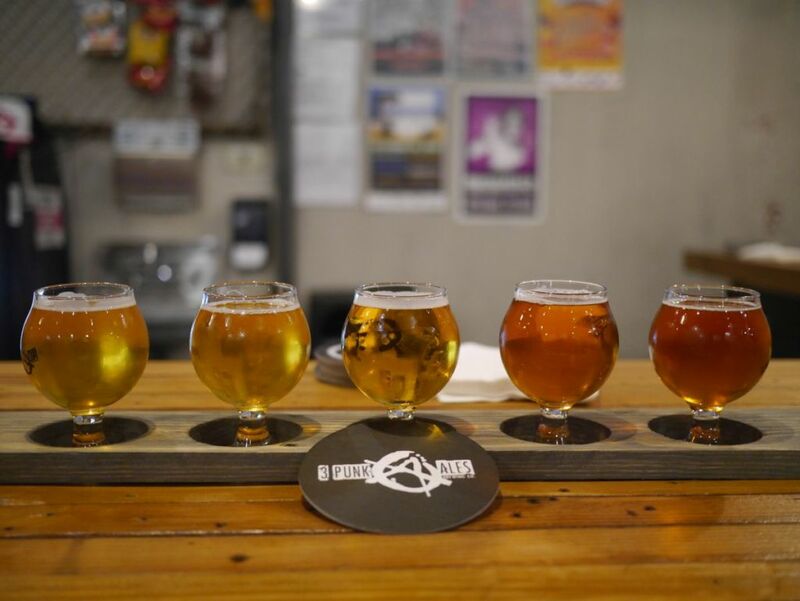 Once you reach Belching Beaver you are fully into the El Cajon Blvd part of town where you can find Tiger Tiger, Pariah, Eppig, A hard Kombucha brewer, Home Brewing, Barn Brewing. Further North you will find Fall Brewing, Poor House. Of these my favorite is Fall but Pariah and Eppig are great too. Tiger Tiger is connected with Blind Lady Ale House and serves their house beers from Automatic Brewing on draft along with a variety of local beers. All pints there are served in imperial pint glasses, giving you a full half liter. Pariah and Eppig opened around the same time and both have excellent beers. 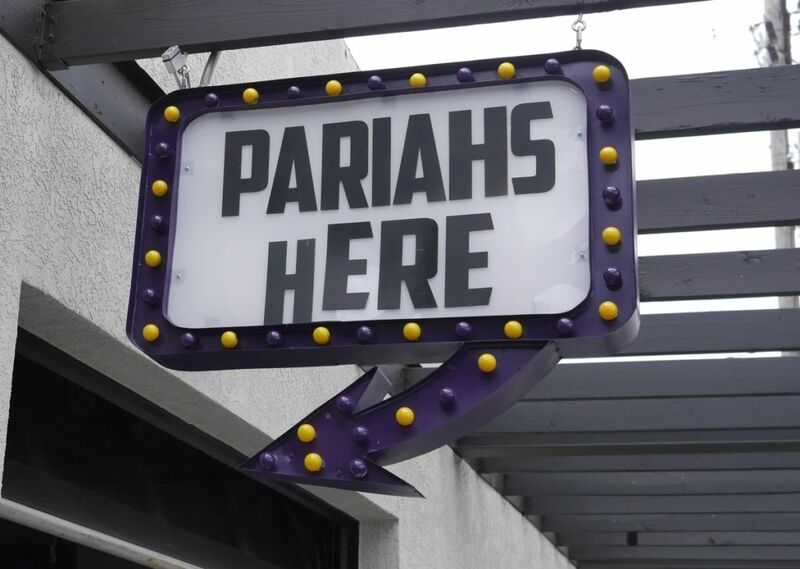 Pariah I visit mostly for IPAs though they have a variety of styles available. Eppig I mostly visit for lagers including one of the best dark lagers in town. I haven’t yet visited their neighboring hard kombucha spot and don’t plan to because I drink kombucha as an alternative to beer and prefer my home brew. 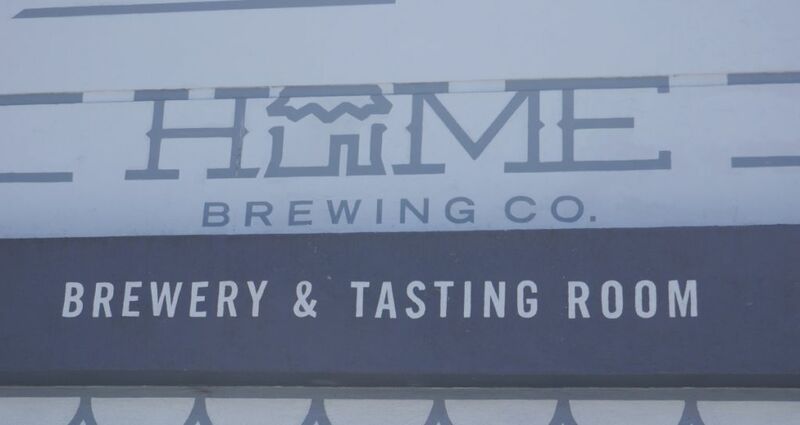 Home Brewing is a quirky spot connected to a home brew mart but they have been doing quite a few interesting collaborations and can releases lately that tend to be good. It is a good spot to visit if you want to learn about some more obscure styles. I haven’t been to Barn brewing yet and don’t expect to anytime soon. Nobody talks about them in my circles and I assume they have a more local following. They are owned by the same people who opened Poor House. Fall Brewing is a local staple both for excellent IPAs and lagers. They also brew a variety of other styles reliably well. I tend to order their English Pale Ale there simply because nobody else does a beer like that around town like they do. Poor House is a quirky neighborhood brewery that I haven’t been to in many years. They are similar to Barn in that nobody really talks about them but they are still around so I assume they have a following as well. Further East along Adams you will find Kensington Brewing and Blind Lady Ale House home of Automatic Brewing. Kensington Brewing I have been to only once and don’t expect to return. They have a similar neighborhood feel and lack the excellence of others in the area. Blind Lady Ale House is a restaurant focusing on pizza and serves their house beers from Automatic Brewing along with a variety of other guest beers. They also serve all their pints in imperial pint glasses giving you a full half liter. If you haven’t heard of Automatic Brewing don’t be surprised. They hardly market themselves as a brewery online. But they do make some great beer. Almanac has been around for quite a while though they only recently opened two large locations you could visit. They were originally known for their barrel-aged sours, which was for a while all that they produced. 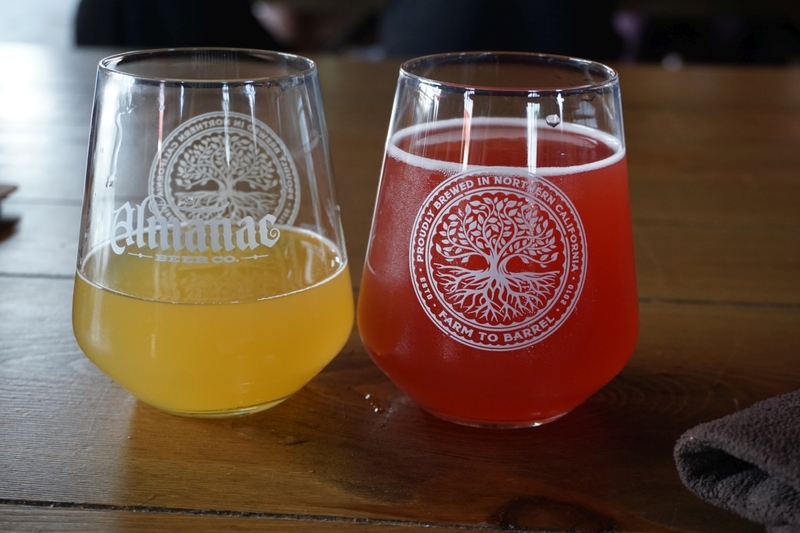 I remember enjoying both their series of fruited sours with local fruits and dry-hopped sours usually with a single variety of hops. With the opening of two new facilities, they also started brewing other styles of beers. Now they have a variety of options available not just sours. 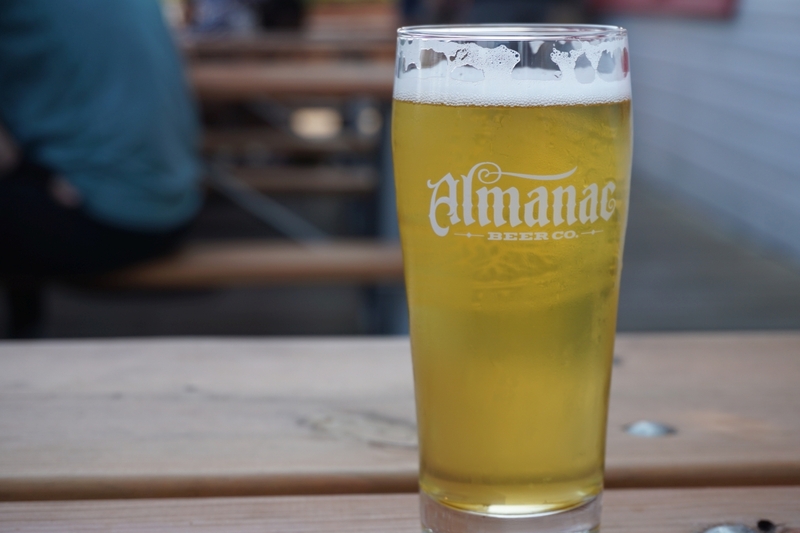 On a recent visit to the San Francisco Bay Area I checked out the two locations for Almanac brewing and decided to visit the one in Alameda because I was staying with family nearby. I also selected that location because it is a larger tasting room as opposed to the brewpub in San Francisco. 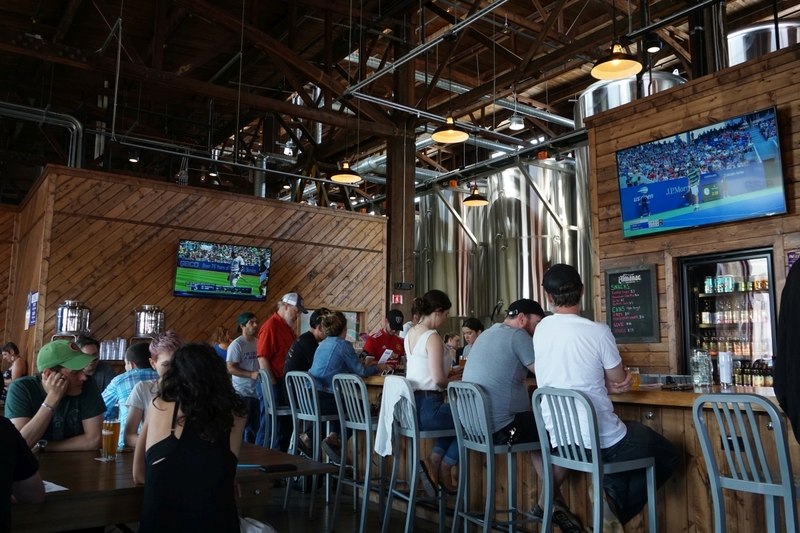 Brewpubs tend to get more crowded with the addition of food. The tasting room is in the same old naval yard where Faction opened their brewery. It has a similarly large building that appears to be a re-purposed hangar. 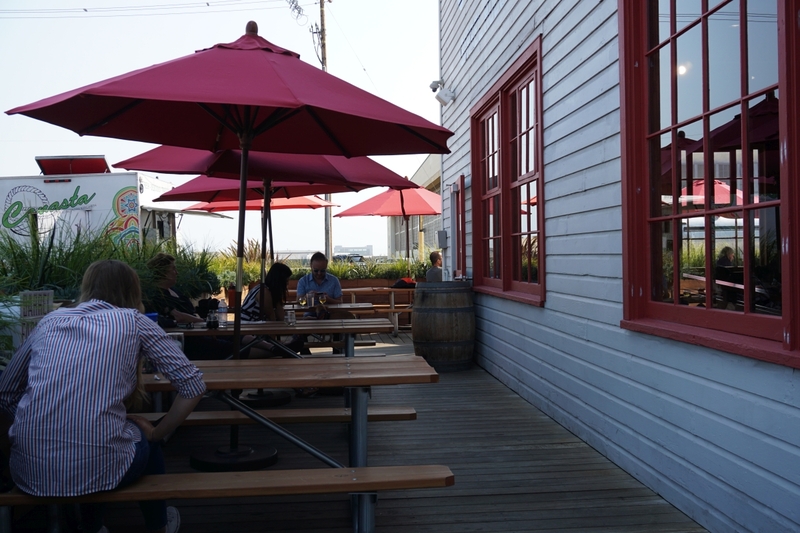 There are numerous picnic tables to sit at inside plus bar seating and more picnic tables in an enclosed outdoor patio. Even with the high ceiling the inside area was noticeably louder than sitting on the patio so we moved outside once seating opened up. During my visit I tried two sours, a hoppy pilsner, and a hazy IPA. I left with cans of the pilsner and cans of an oak-aged vienna lager. They also had a crowler machine for beers to-go. Of the two sours, I was most satisfied by the Interstellar Apricot. Though it was a saison as a base beer, it had plenty of apricot so that it had a thick creamy mouthfeel. The beer was like apricot puree and went down easy thanks to low acidity. The cherry supernova was a bit more subtle with the fruit despite a name that suggested a similar fruit explosion. It was well-done but I would have preferred more prominent fruit. It was only slightly more fruity than most of the fruited beers from Societe in San Diego, which I find to be too subtle for my tastes. Two sours side by side. The pilsner was true to style except for the addition of modern hops. It exploded with citrus and bubblegum hop aroma without much bitterness. I have enjoyed a few cans since visiting the brewery and really enjoy this one. Of course if you want to enjoy the hop explosion, make sure that you get fresh cans. The oak-aged vienna lager I only tried briefly at the brewery but have had a few cans of since leaving. The oak gives it mild butter character to blend nicely with the caramel notes of the base beer. It also has some notes of plum. I finished my visit with a pint of the Hazy IPA brewed for Ales for ALS. The beer had a nice creamy body and prominent hop aroma with notes of pineapple and mild herbs. The beer was mildly bitter and low in hop acidity making it quite crushable. I have seen their hazy cans outside of the brewery but hadn’t tried them yet because so many breweries label new IPAs as hazy when they are simply imitations. This is the real thing. 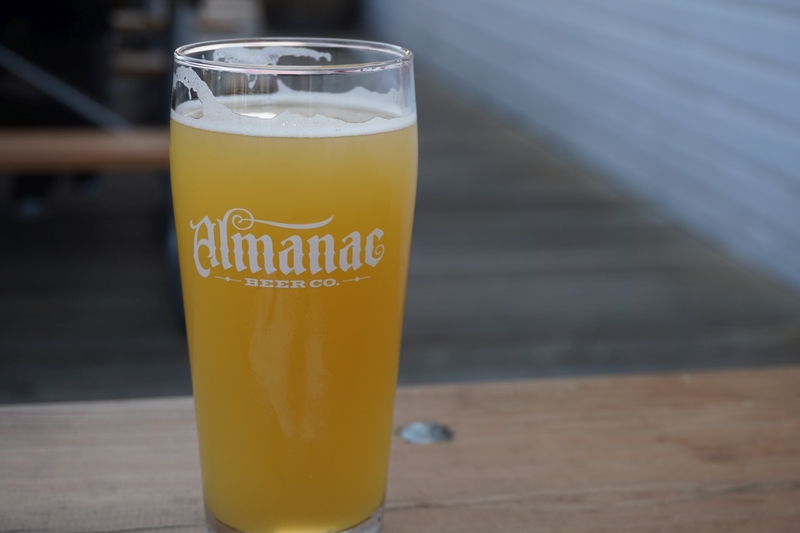 With such easy access to Almanac beers throughout California, it isn’t essential to visit them at the source. Though they were selling vintage bottles to go they didn’t have rare bottles for on-site consumption. If you happen to visit family in Oakland or Alameda though, it is worth taking a stop by the Alameda tasting room. You could visit Faction during the same trip. 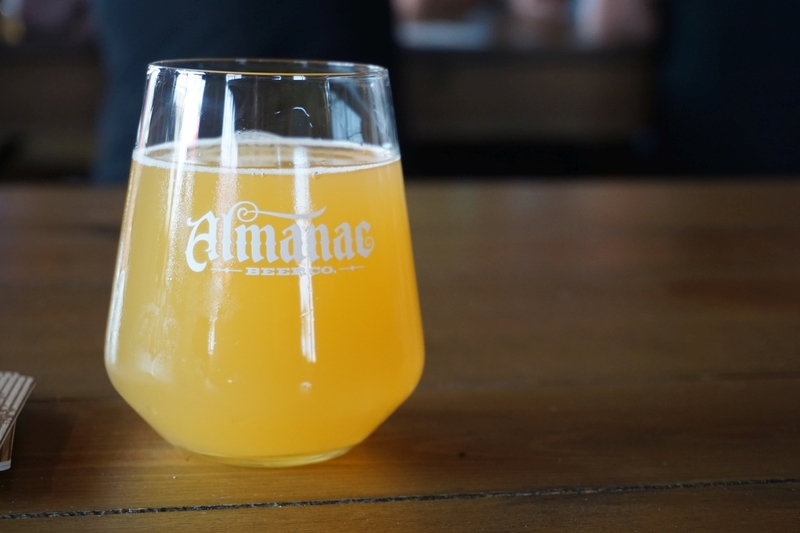 Almanac is known for fantastic barrel-aged sours and recently branched out to brewing other styles. They had a solid hazy IPA and fantastic hoppy pilsner. A lot of people first become interested in craft beer when they taste an IPA and fall for the bitter punch or the pine resin but many brewers and beer drinkers eventually learn to appreciate the delicate flavors of a well-crafted lager, usually in the German or Czech style. There are many types of lagers in all ranges including the higher alcohol baltic porter, a strong dark beer brewed with lager yeast. For purposes of this article, I will focus on lower alcohol versions of the style and breweries in San Diego where you can consistently find an excellent version of that style. 1. Societe Brewing Company – Societe is one of the first San Diego breweries where I encountered an excellent lager. They often have two or three variations of the style on tap at once, including single-hopped versions to showcase a hop or more classic varieties. Around Oktoberfest, starting in September, they put on some delightfully authentic versions of the festbeer and kellerbier. 2. Fall Brewing Company – Fall has been delivering six-packs of their delightful pilsners for some time with Plenty for All first followed by the Rise Up Czech style Pilsner. Both are excellent and always refreshing examples of the style. I’m hooked on Rise Up and the lovely wildflower honey flavor I get from it. 3. 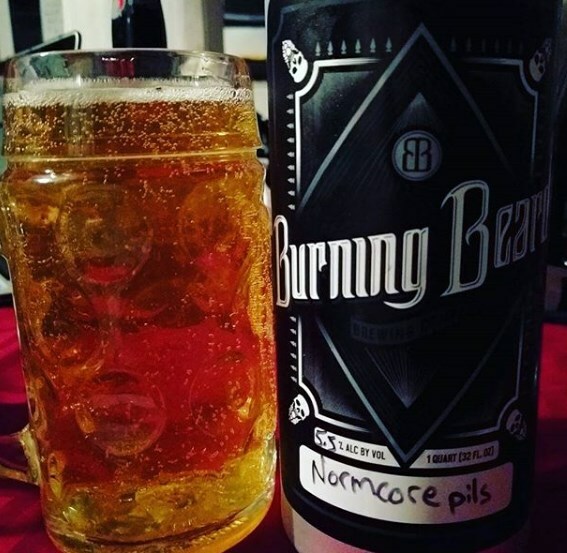 Burning Beard – Burning Beard’s Normcore Pilsner has been named best beer in San Diego in 2016 as voted by readers of The West Coaster. Then for 2017 it was named best lager in San Diego from the same readers. This beer has quite a following just as the Beard has its loyal fans. Though not brewed in as large quantities as others this is always a reliable choice when you are craving a good lager. 4. 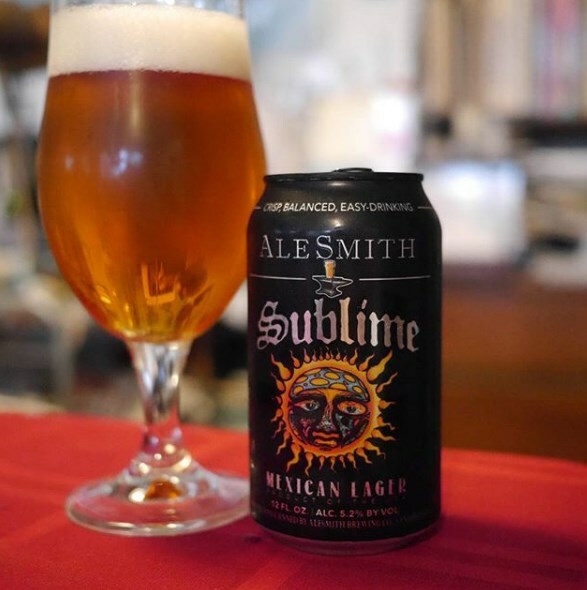 Alesmith – Alesmith didn’t always have lagers on tap but then recently they released both the Sublime Mexican style lager and the delicious Spezial Pils, a German style lager. Both are excellent though I prefer Spezial when I am craving something classic. This is now available year-round in cans. 5. 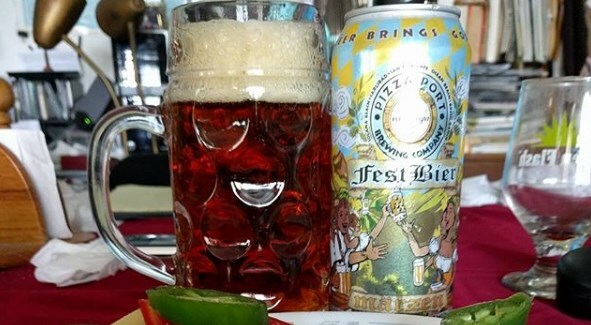 Pizza Port – Though not a brewery generally associated with lighter beers, I was really blown away by the quality of the Festbier that Pizza Port released in 2017 as a limited release through their tasting rooms. I was craving more once I finished that six-pack. They also brew a number of one-off beers throughout the year. 6. ChuckAlek Brewing – Chuckalek is the only brewery I know of in San Diego that lets you order a full liter of their German styles at their tasting room, usually limited to the altbier and helles German style lager. Though I usually end up ordering their delightful ESB, ChuckAlek makes a consistently delicious helles lager and altbier, a malty traditional German style. 7. 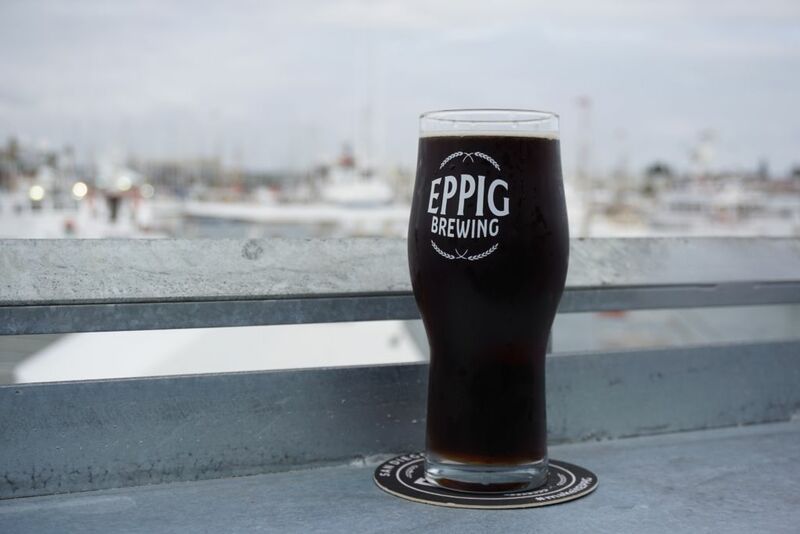 Eppig Brewing – Eppig has a regular pilsner and schwartzbier (dark lager) on rotation along with a Japanese style dry rice lager. I was most impressed by the schwartz, which to me is one of the best examples of the style I have had in California and most authentic to the traditional style. 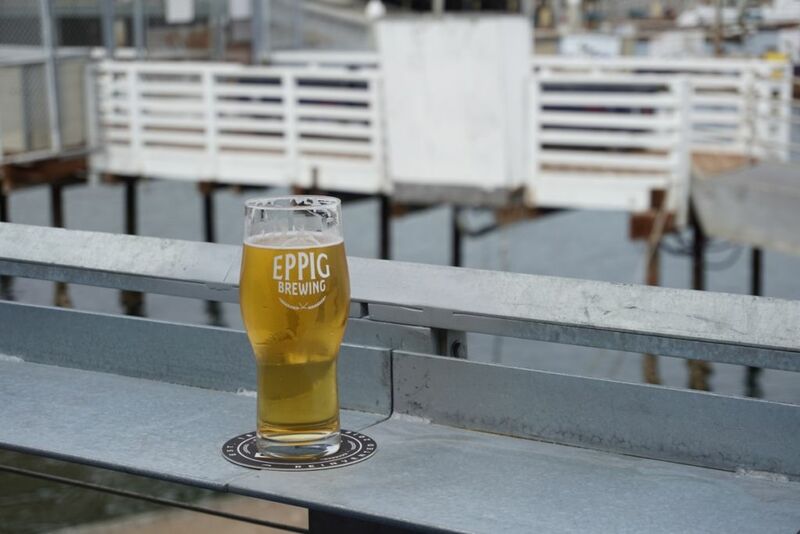 Eppig displays their commitment to this classic style in their choice to open a large beer hall on the waterfront recently. 8. Stone Brewing – Stone brews their year-round lager called “Who You Callin’ Wussie” but they have also released some delightful small-batch lagers throughout the years. More recently I was quite impressed by their Kolsch, an ale brewed with lager yeast. Though not technically a lager, the Kolsch would satisfy most people’s craving for the style. 9. Gordon Biersch – Gordon Biersch is often overlooked as a big brewery that happens to have a location in San Diego but their head brewer is the local guru when it comes to brewing lagers. They are not flashy but the lagers coming out of the Mission Valley location are consistently of high quality. 10. 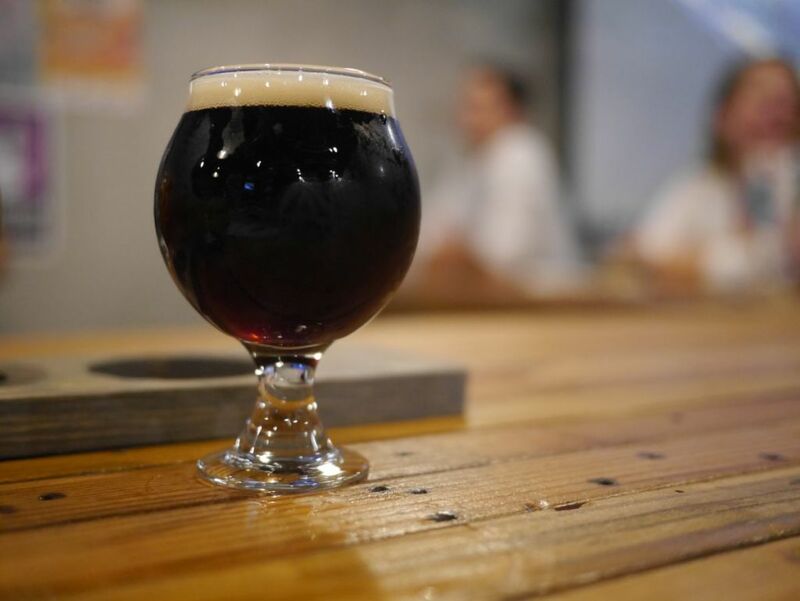 Bagby Beer – Like Gordon Biersch, Bagby gets overlooked by people looking for beers to hype up because they consistently brew beers to style rather than trying for the next big thing. Most times you visit Bagby you will encounter at least one if not two excellent lagers. They also tend to have excellent lagers from out of town on tap as guest beers. 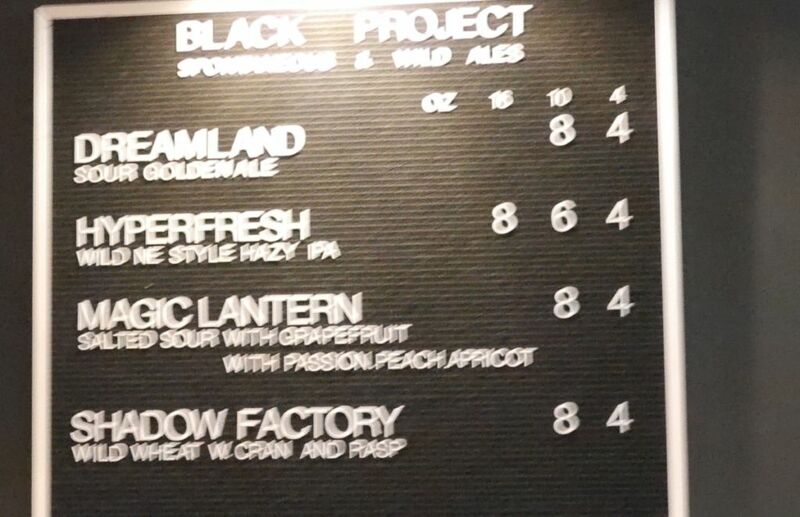 I wasn’t planning on visiting Denver during my latest trip but once I ended up in Denver I had to visit both Black Project and Bierstdt Lagerhaus because I had heard great things about both of them. 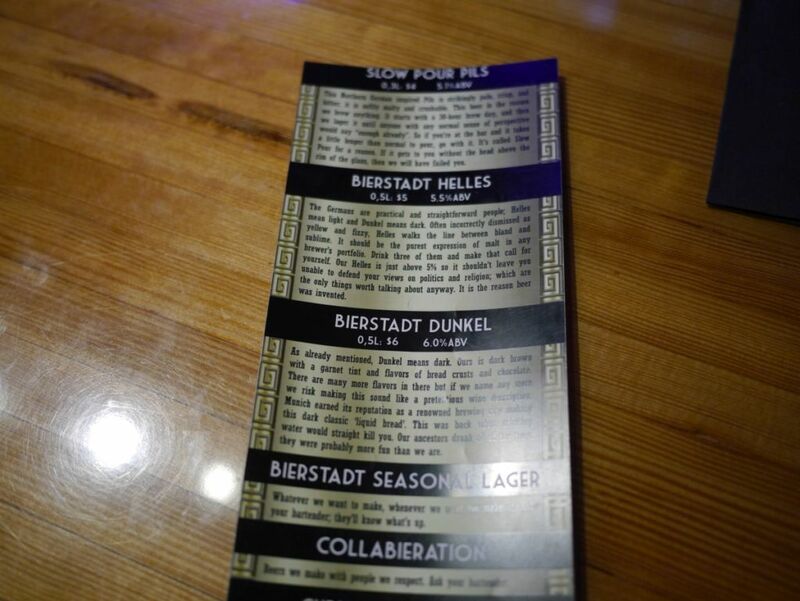 Black Project is known for their sours and Biersdt Lagerhaus is known for their lagers. 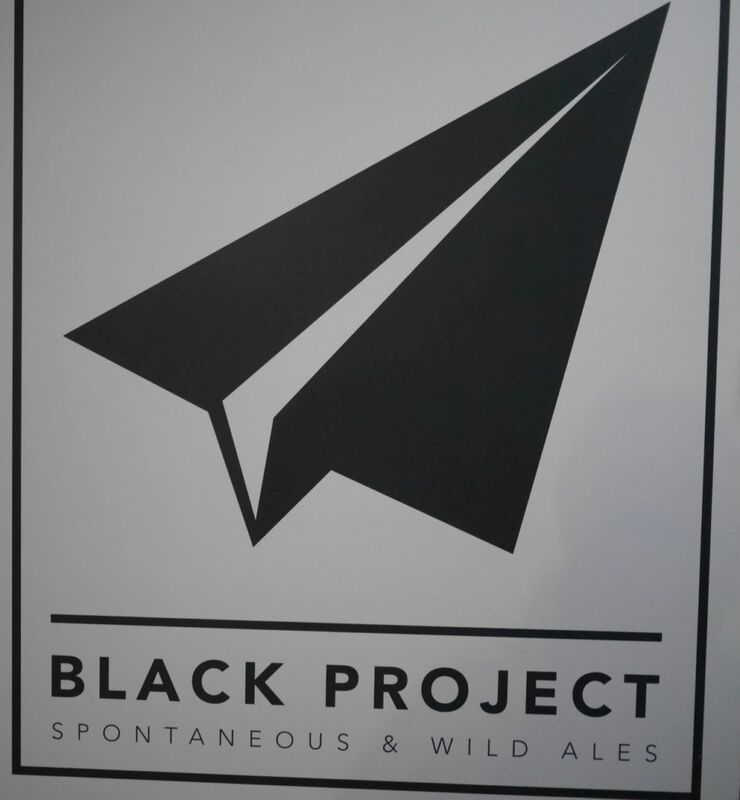 I didn’t get to try more than one barrel aged sour at Black Project the time I visited but the beers overall were quite good. They have a small tasting room with some seating and serve their tasters in full size glasses. I started with the IPA. It was soft and mildly hazy with a mix of grass and citrus notes with hits of herbal hops. It had a good balance and minimal bitterness but I could have done with more intense hop aromas. The grapefruit gose was acidic and tart with mild puckering. It had a light salt finish and lingers in the mouth. It was fairly bitter and not really my thing. The passion peach gose was intensely fruity with tons of passion fruit and peach with a light tart and an overall juicy flavor. This was one of the more flavorful fruited goses I have had. The wild wheat was strong lacto tart with light berry notes but overall fruit was too mellow for the base. The sour golden was quite tasty with a sweet base with notes of tart apple and flavors reminiscent of a Belgian gueuze. It seems like it would make a good base beer for the addition of fruits. Since I couldn’t try any of their barrel aged sours other than the sour golden I won’t be particularly critical but overall it was a worthwhile stop. Like many sour breweries, the beers available will change regularly including what they may have available in the bottle. 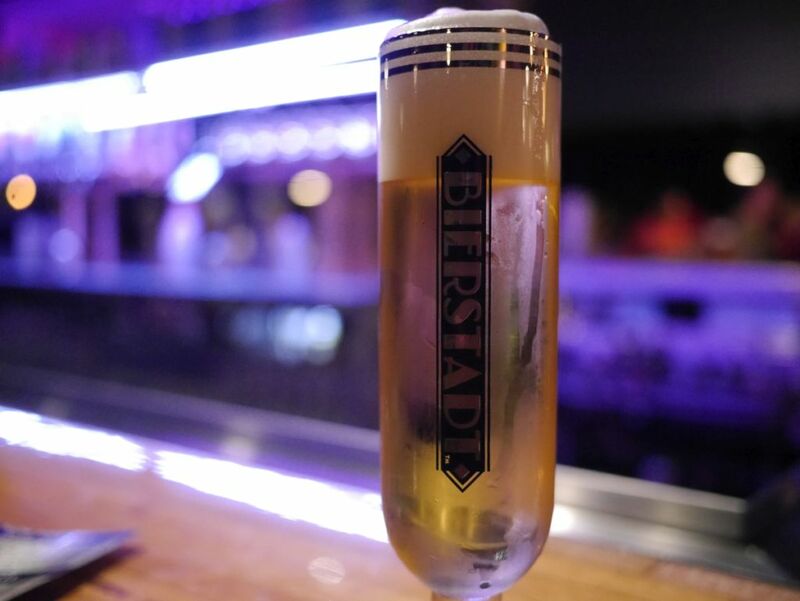 I was drawn to Bierstadt Lagerhaus because they focus on lagers exclusively and I have heard they are quite particular about what glasses they will allow their beers to be served in when they send them to various local bars. Two things struck me when I visited. They have a large space with tons of seating. They also sell crowlers for $5 a piece for most of the beers which is surprisingly low compared to what many charge. 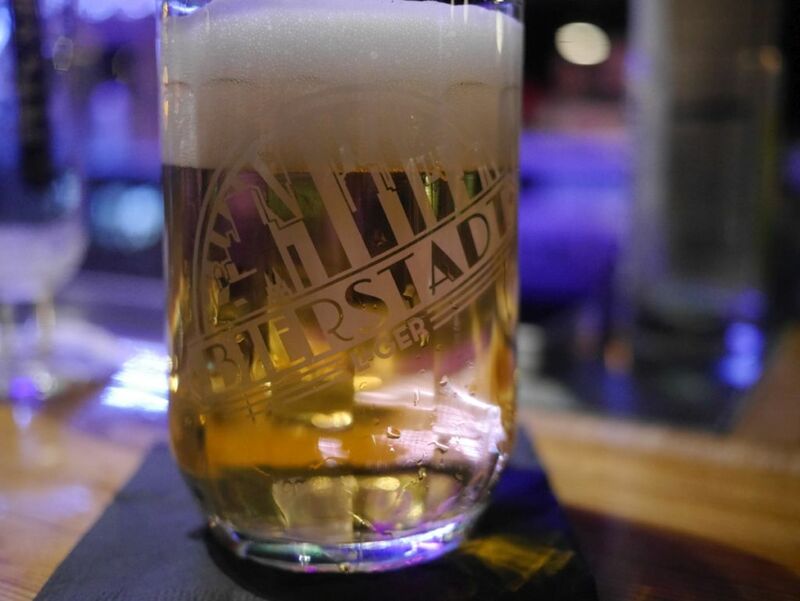 Slow pour pilsner in their special lager glass. I only tried three different beers while I was there because I was there with other people. Otherwise I wouldn’t have tried as many beers because they only serve the beers in full pours. The pilsner was crisp and dry with light biscuit malt base and a tasty mild lager yeast character. They serve it in a way that makes it quite creamy. 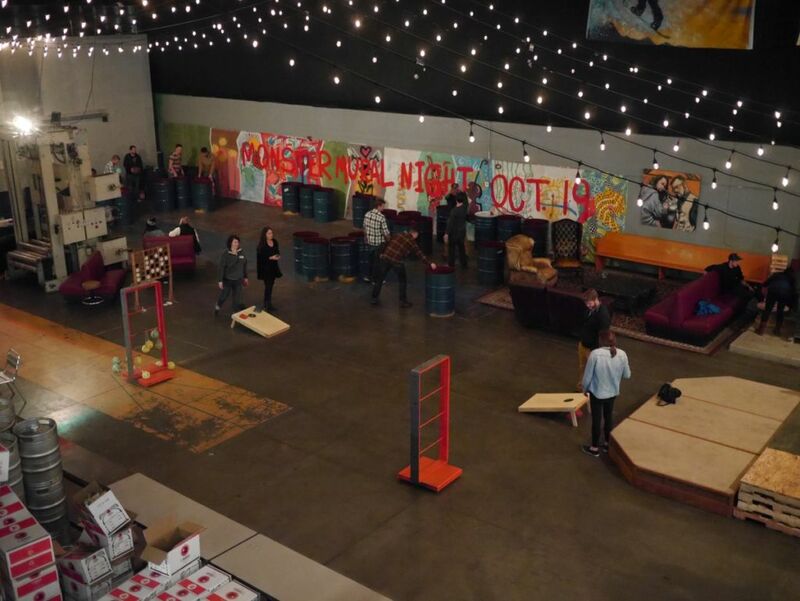 Their massive beer hall area downstairs with games. The helles was more fruity than the pilsner and had some light floral hops with a good crisp finish and light white cake malt base. The dunkel had notes of caramel and toast with mild fruit and a dry finish. It was a tasty dunkel. 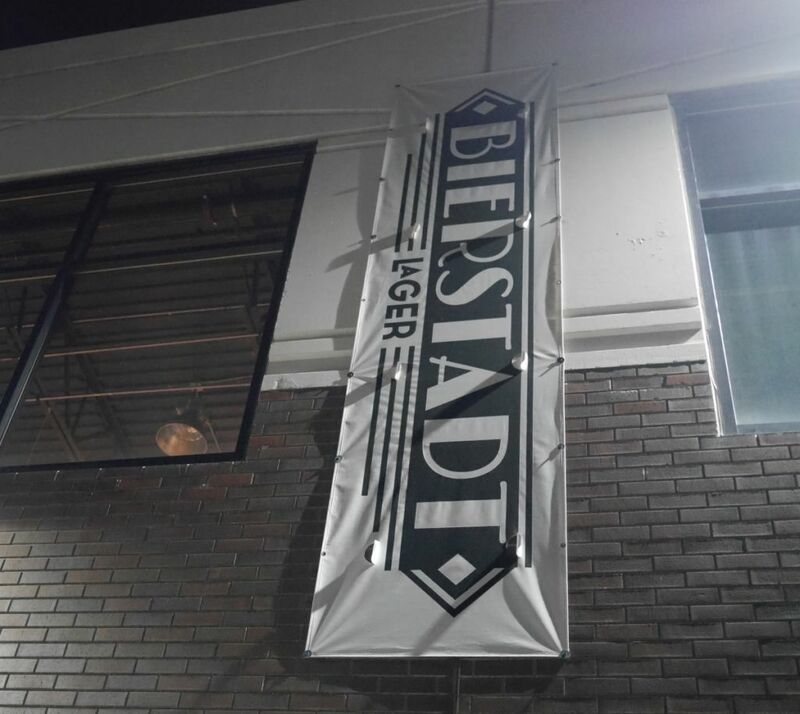 I would recommend you stop by Bierstadt Lagerhaus if you are tired of all the IPAs and sours and want to try some solid lagers in Denver. 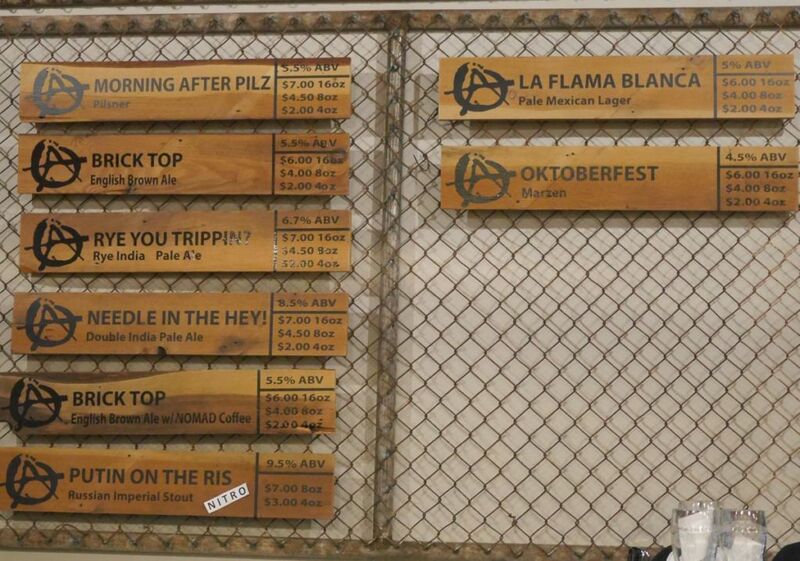 Thr3e Punk Ales opened in Chula Vista recently in an area that has not seen many breweries. They have a good variety of standard beer styles and are open late, sometimes up to Midnight. I thought it was on the noisy side when I stopped by on a Friday night but then Chula Vista Brewing down the street was amped up much louder. Beer wise, only one beer was clearly to style and a few were standouts. Others defied convention and expectations in ways you might expect from a punk brewery. Rather than the double IPA packing the biggest hop kick, the hoppy pilsner was the most explosively hoppy. The Flama Blanca Mexican Lager was delicious, fruity and crisp with a lightly sweet dry finish. It tasted exactly like I would expect a lager to taste. The Morning After Pils, a hoppy pilsner, was so hoppy I thought they might have given me the wrong beer. It had an intense mix of resin and floral hop character and a mild to medium bitter finish. Next to this, the two beers labeled as IPAs didn’t taste very hoppy. The Rye You Trippin, rye IPA, was sweet with light rye and biscuit malt character balanced out nicely with some mild citrus hop character. By San Diego standards the hops were barely there. Similarly the Needle in the Hey, double IPA, was on the sweeter side with a caramel malt base, low bitterness, and earthy hop notes. It finished with a bitter and sweet finish that I didn’t really care for. The brown ale with coffee was bursting with coffee on the nose and in the taste. Tons of nutty coffee came through overpowering the base beer completely. The beer had a nice medium body and a sweet finish. I brought home a crowler of this one though I hope when I open it I won’t be up all night. The Russian Imperial Stout on nitro was a bit smoky on the nose and noticeably boozy. It had notes of cherry and dark fruit and a dry bitter finish. While a solid stout, it is significantly different than the style we typically get in San Diego. Thr3e punk ales had some tasty beers on tap. If you are looking for something hoppy, stick to the hoppy pilsner. It is the closest to a West Coast style IPA.